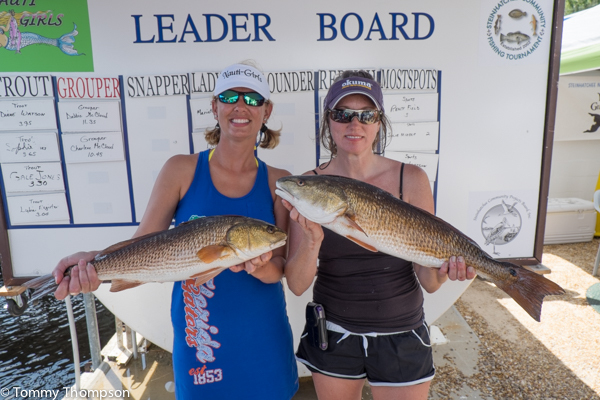 Elizabeth and Kathy did well at the 2015 Tournament–thanks to “boat boys” Troy and Robert! 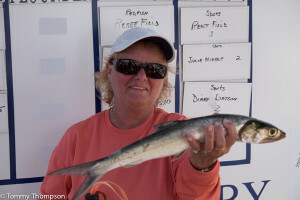 I’ve always enjoyed fishing the Steinhatchee Community Tournament. 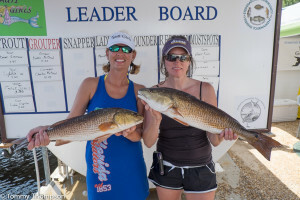 It occurs at a great time of year, and anglers typically find lots of species, lots of action, and have lots of fun! I can’t fish this year. I’ll be representing Visit Natural North Florida at Canoecopia in Madison, Wisconsin (probably in the cold and snow!) with Russ McCallister of Suwannee Guides & Outfitters while you’re basking in our warm March winds at Steinhatchee. We’ll be talking about paddling adventures there at the world’s largest paddling show. And we’ll likely eat some cheese curds! With over $3600 in prize money, this tournament is a great opportunity to have fun of the water and potentially cover your expenses for a weekend of fun! 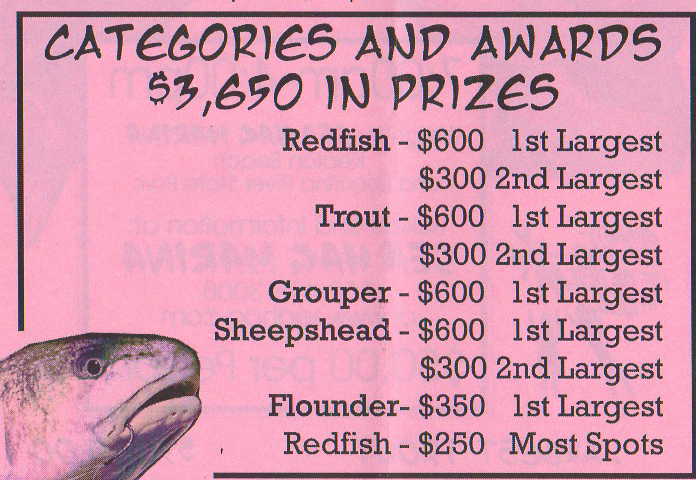 There will be prizes for redfish, seatrout, grouper, sheepshead and flounder, giving both inshore and offshore anglers a chance to win. $30 per person entry fees can be paid at the Sea Hag Marina. Weigh-in will be at the Steinhatchee Community Center. Tournament hours are 7:00AM-4:30PM. 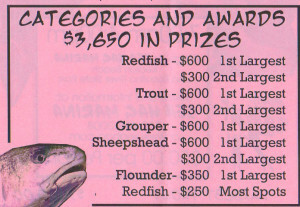 Great prizes for great fish! Not everyone catches a winner–but everyone has a great time!